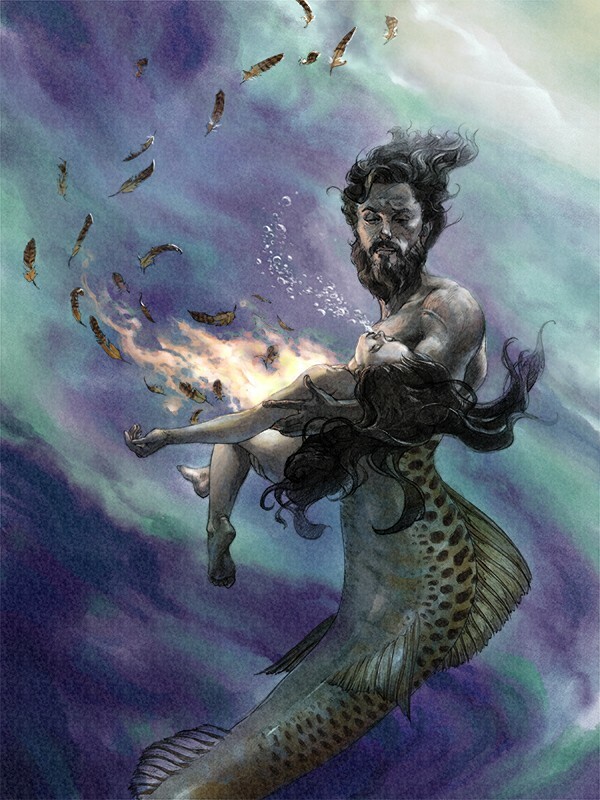 “Poseidon Saves Parthenope” is an interior illustration created for the book, “Parthenope: A Papa Sam Story,” published recently. The book contains one painted cover in my typical style and 9 interior illustrations rendered in this watercolor-like style. These pieces were begun with pencil drawings and then finished digitally. The project is particularly special because it was independently produced, and we managed to still create a nice package with multiple illustrations.